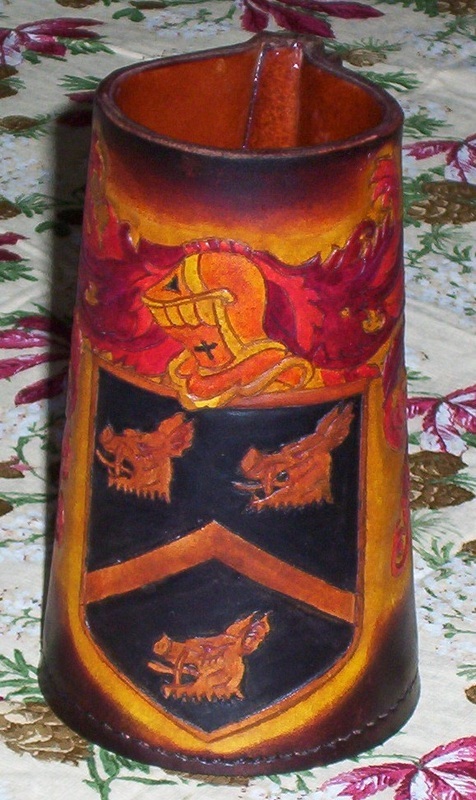 Our family crest mug has three boar's heads on it. 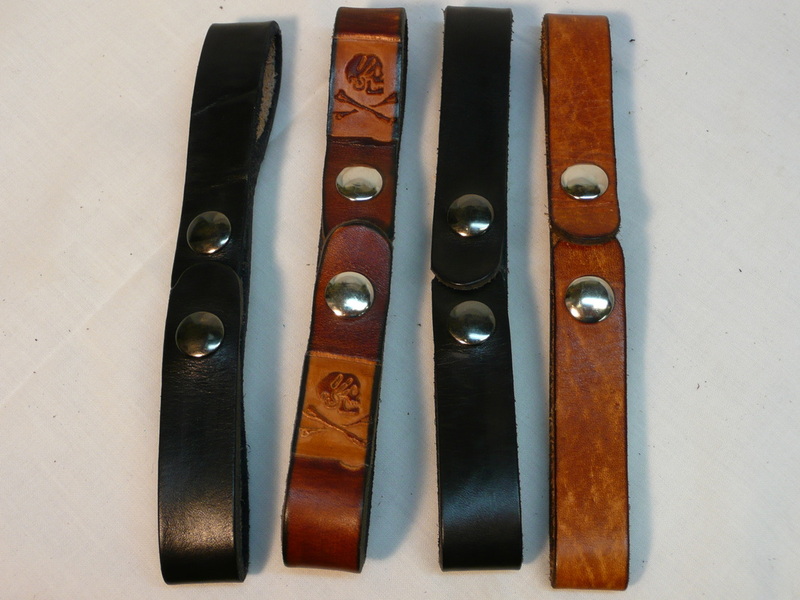 That's how our Boar's Head Leather name came to be. 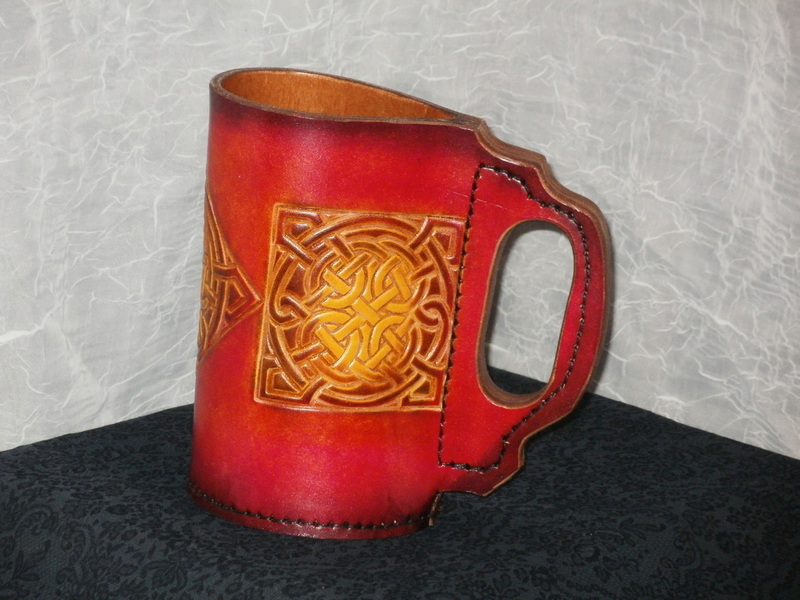 We can also hand tool your family crest on a mug just for you. 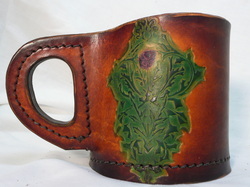 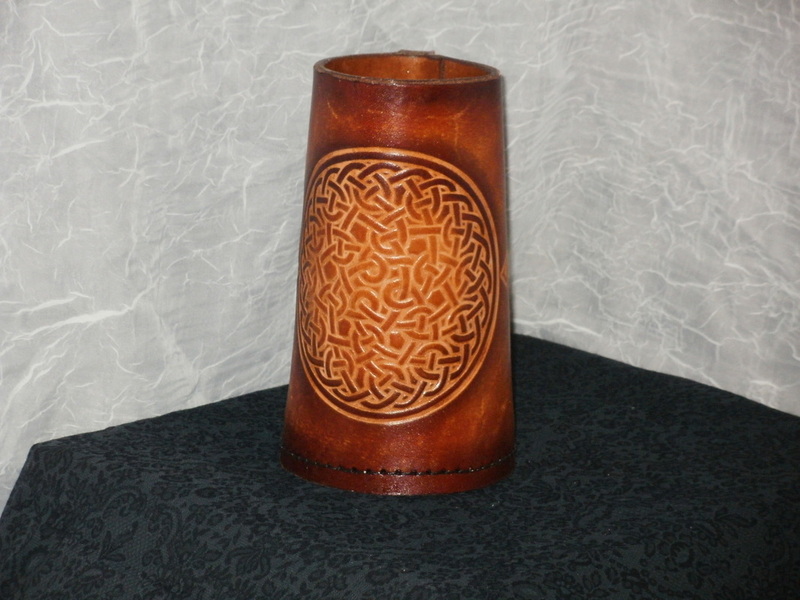 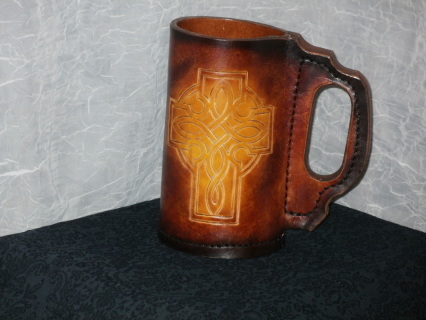 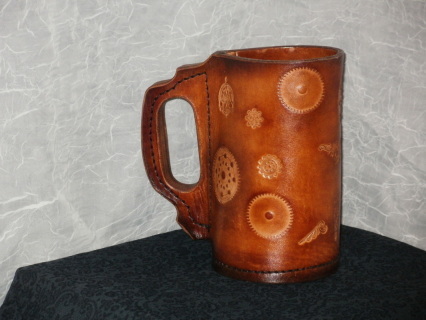 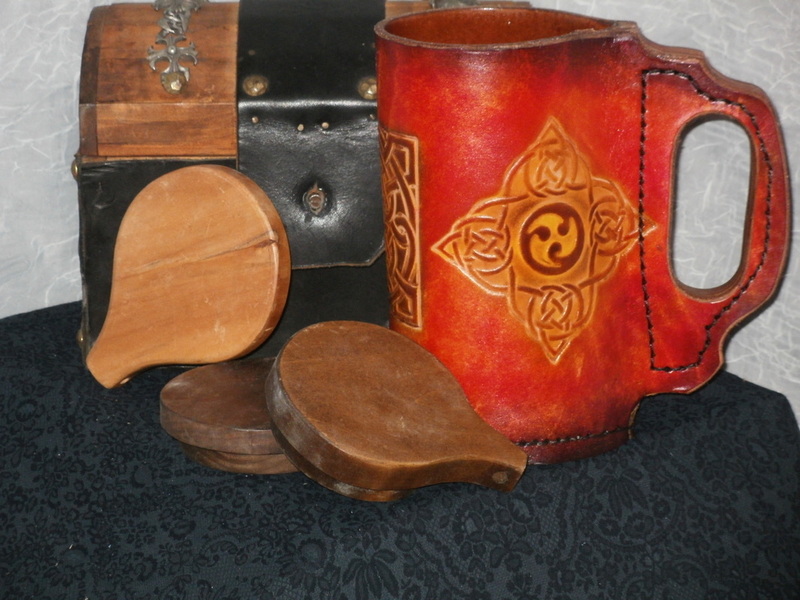 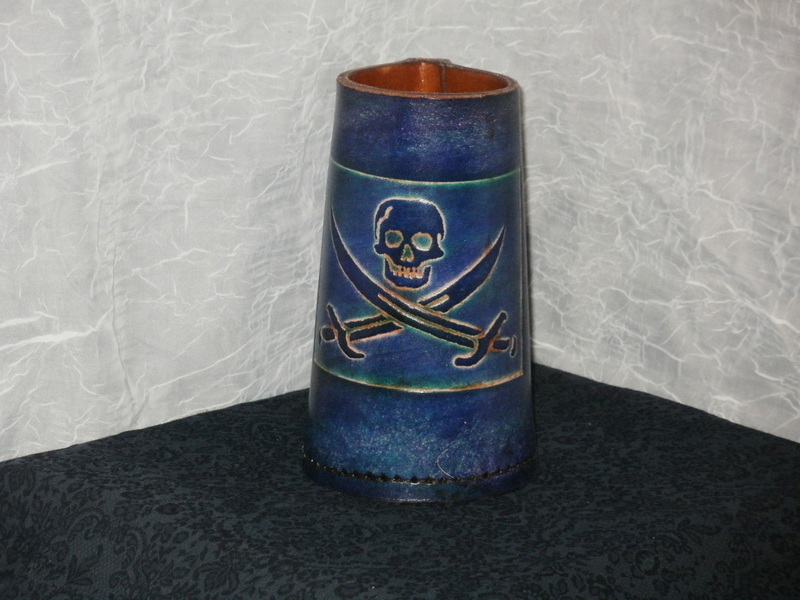 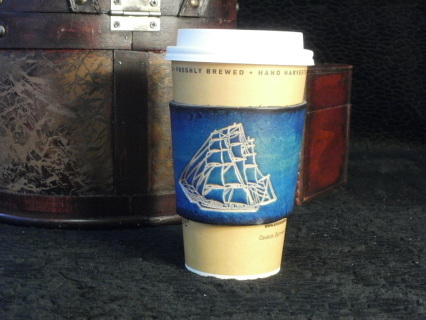 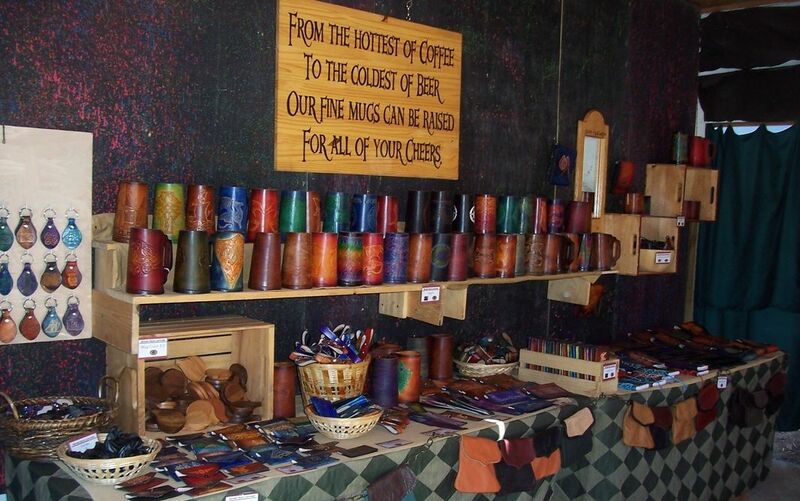 Through our unique process all our leather mugs are suitable for HOT or cold beverages. 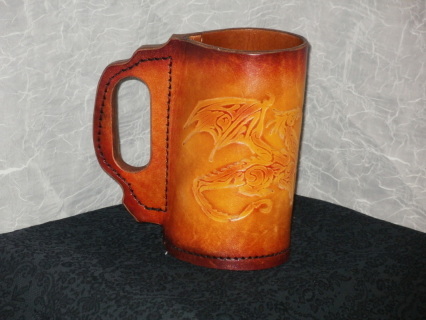 No other leather mug can make this claim. 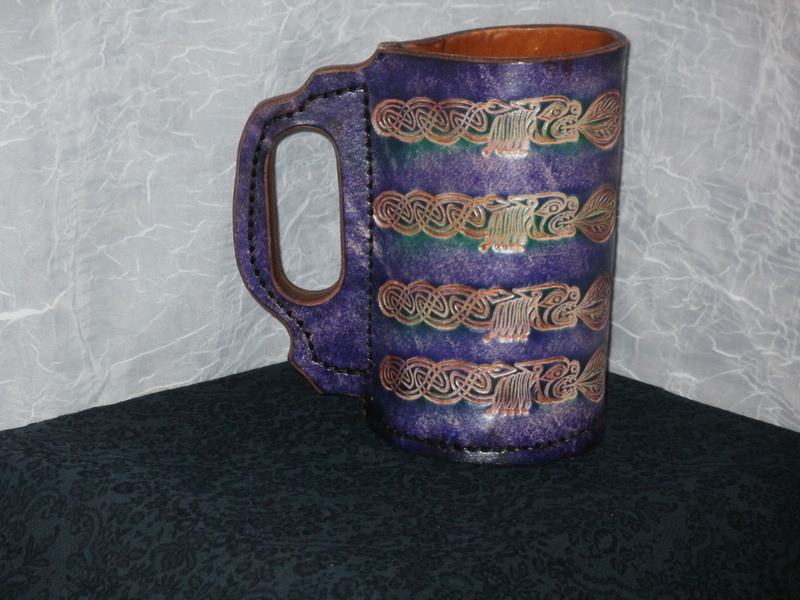 Beer, wine, soda, juice drinks, coffee, tea or hot chocolate can be enjoyed in this mug. 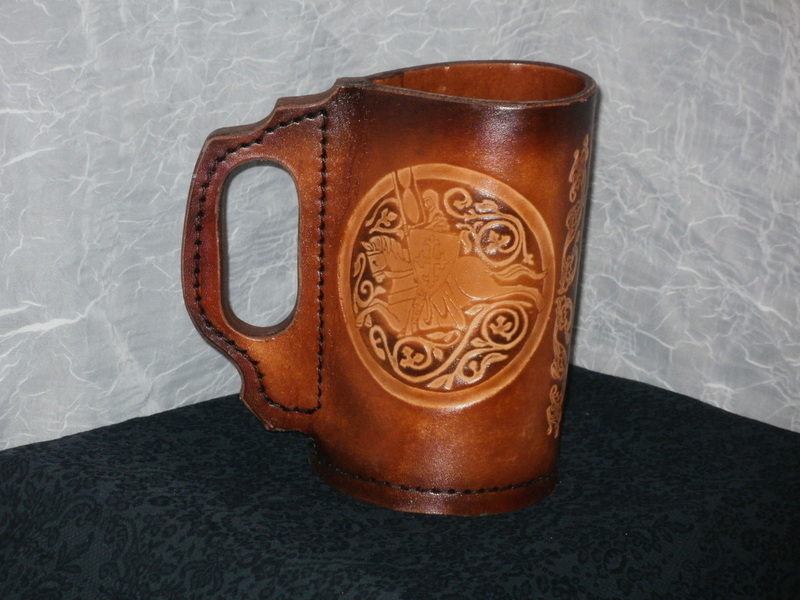 Holds approximately 30 ounces. 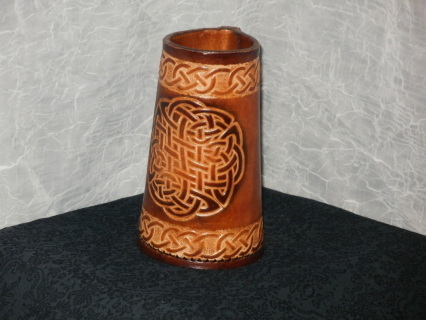 Base approximately 4 inches and height approximately 7 inches. These mugs are just a small sampling of what we can create for you. 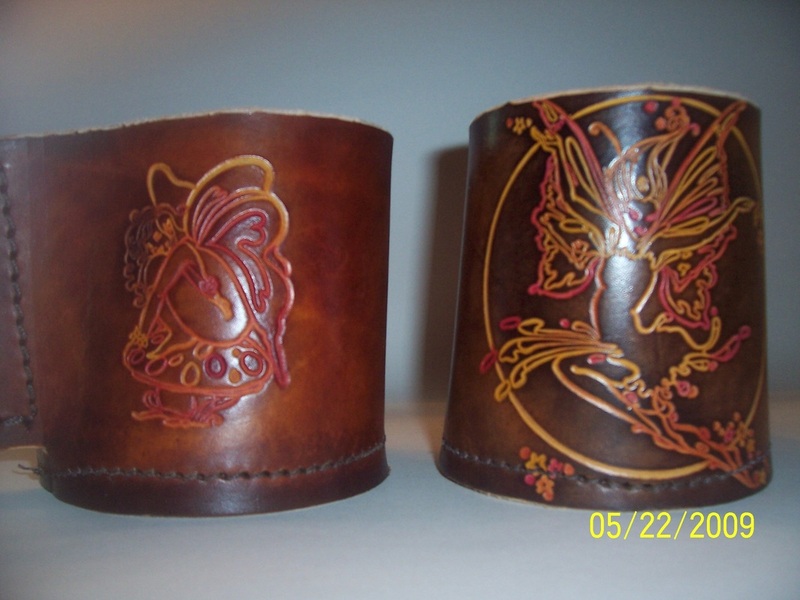 Contact us and find out more. 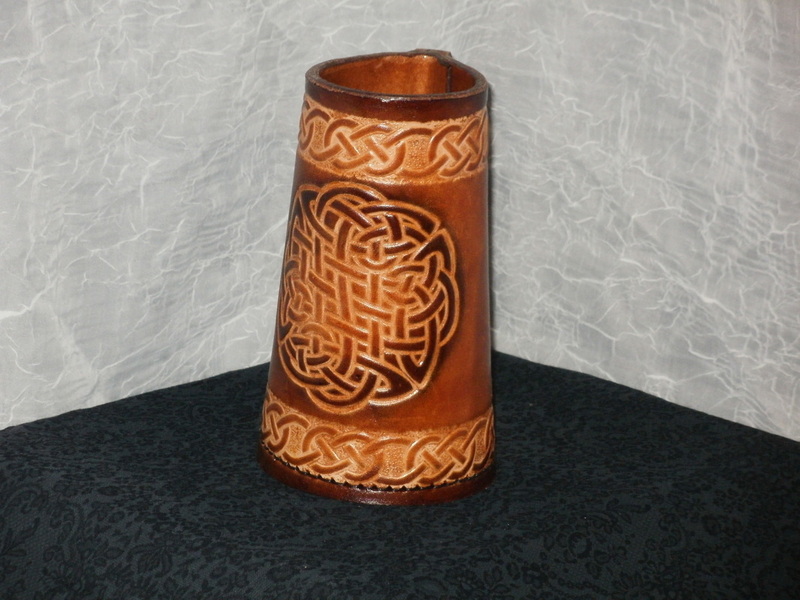 The Celtic Squares are on each side. 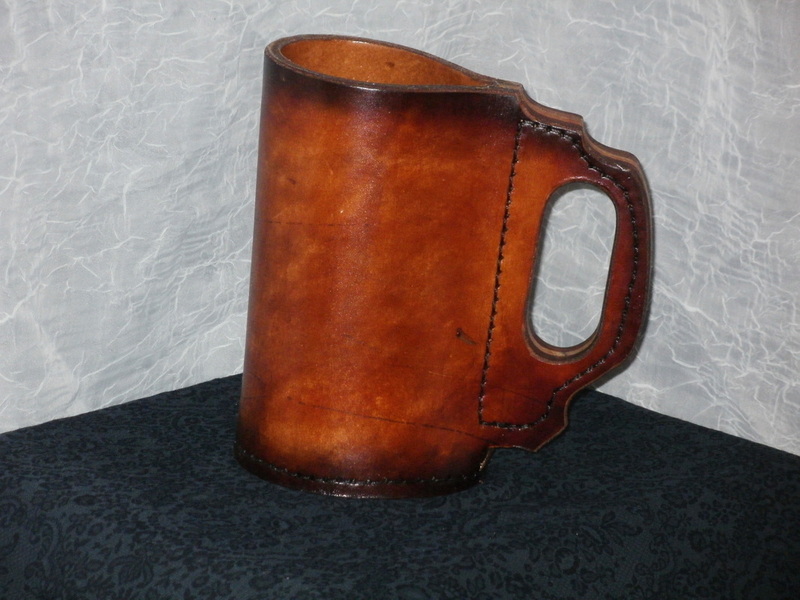 Need a Groomsmen gift? 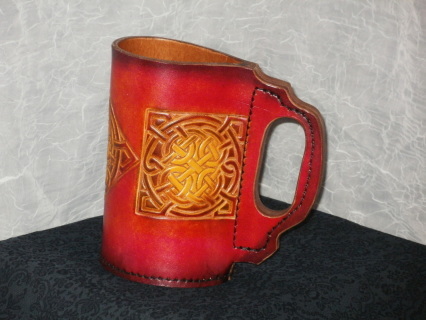 Matching mugs are the perfect choice. 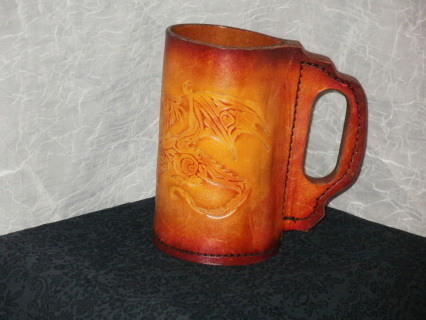 DO NOT put them in the microwave or dishwasher. 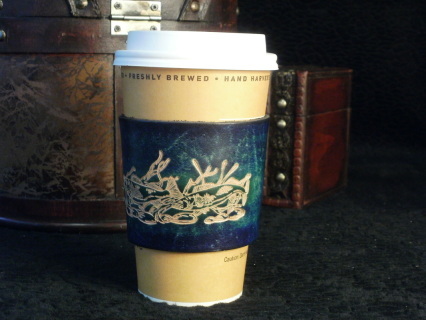 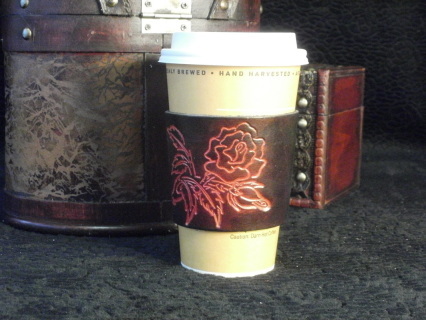 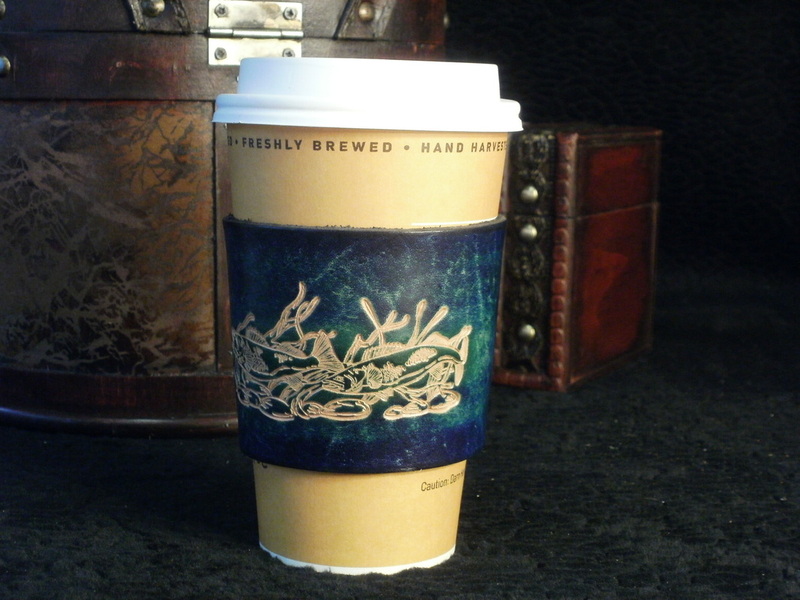 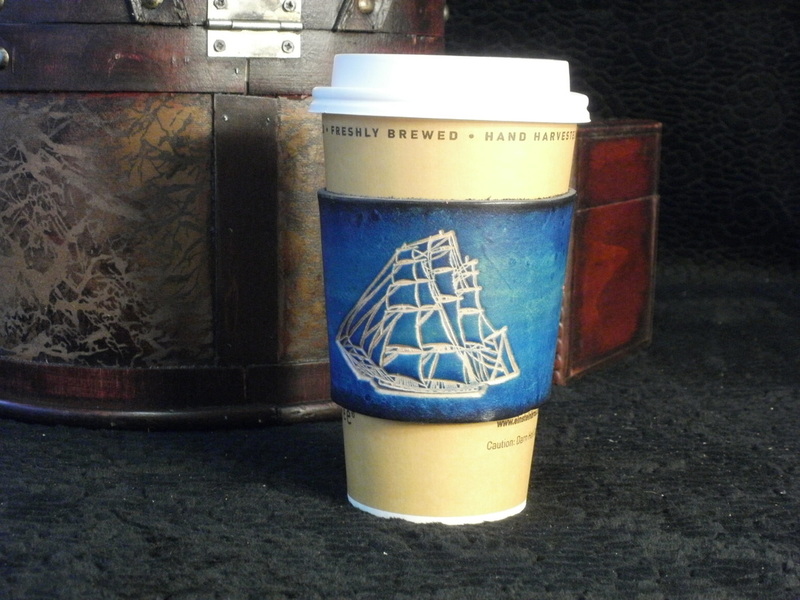 These coffee cup wraps fit over your favorite take away beverage container.